Siena (often mispelled “Sienna”) may be the best-preserved medieval city in Italy. Some tourists regard Siena as being worth a day trip from Florence or a half-day stopover on a tour of rural Tuscany. That’s a big mistake! You should allow at least weeks to visit Siena’s major churches and museums, plus some more days simply to enjoy the unique atmosphere of this historic but lively university town. 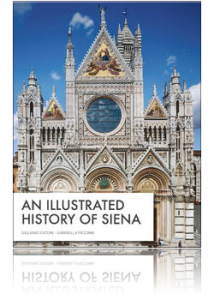 Once you arrive in Siena we advice to get (download or hard copy): “An illustrated history of Siena” by Prof Giuliano Catoni and Prof Gabriella Piccinni. The volume is aimed to outline its virtuous historical plot, guiding the reader in a “three-dimensional” reading. The history of the city is complemented not only by brief and incisive thematic analysis, but also by delightful photographs, created especially for this volume. 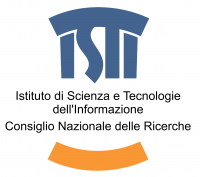 Prof Giuliano Catoni had the Chair of Historical Archives at the University of Siena, has published the catalogues of many archives, and personally cared for the publication of several catalogues of historical sources. He has written essays on the Middle Ages and on modern history, and he dedicates his historical research to the history of Siena. Prof Gabriella Piccinni, is full professor of Medieval History at the University of Siena and Dean of the Department of History and Cultural Heritage, has published essays on the Sienese society in the Middle Ages, and other essays on the general history of the countryside, the social welfare, pilgrimage and several university handbooks.